They might tell you that REAL doctors can deal with more than one species: staff at one of Panama’s farm animal health laboratories. Photo by MIDA. There is much strange lore about the meat on a stick sold on the streets of Panama’s cities, but it’s generally safe to eat. We have a food safety system here that does inspections from the farm to the consumer. We see some pitiful homeless dogs scrounging a living in this country’s rural and urban areas, and a lot of them show some serious health problems. But none of them have rabies. Things are that way in part because Panama’s Ministry of Health and Ministry of Agricultural Development fields 246 veterinarians as part of the national public health defenses. They inspect the cattle herds, pigpens and poultry farms to detect and suppress disease outbreaks. They ensure that sick animals are not processed for human consumption through the nation’s slaughterhouses. They supervise and enforce the animal quarantines that are an annoyance to people taking dogs and cats into or out of Panama, but have kept this place rabies-free for many years. These men and women are highly educated professionals, living a lower middle class existence that has been ravaged by inflation and made less secure by the political machinations of officials who tend to be less educated than themselves. And because he was a lame duck, defeated in his attempted proxy re-election despite massive illegal expenditures of public funds to boost his party’s campaign, a couple of weeks before leaving office in 2014 Ricardo Martinelli made them a promise that would not be up to him to keep or break. Executive Decree 168 of June 10, 2014 declared a pay raise for the nation’s public sector veterinarians, with a base pay for the newest and least qualified vets to be $1000 per month. That was then, but now Panama’s present economy has slowed down and our prospects for the near future are more dismal than a lot of people or institutions care to admit. The Varela administration, which had implicitly ratified Martinelli’s degree by publishing it in the Gaceta Oficial, sought to go back on that pledge. With the public sector veterinarians’ contract expiring, the issue was brought to a head. 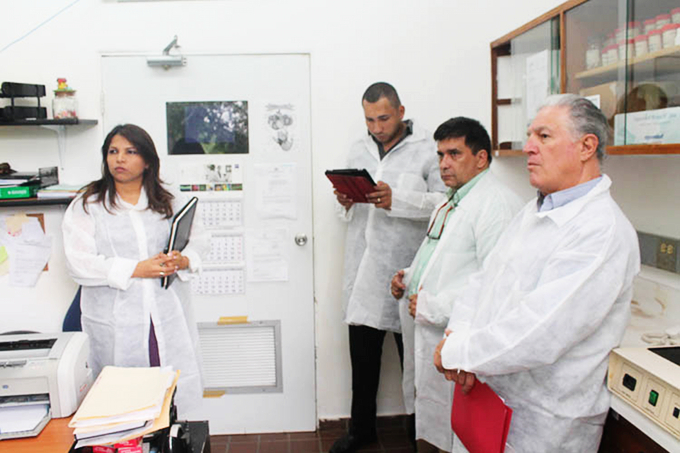 On May 16 the members of the Asociacion Panameña de Medicos Veterinarios reported for work, but did no work. Production at slaughterhouses was slowed but not stopped and the nation’s supermarkets and meat and poultry exporter expressed alarm at the prospect of a stoppage. Two days later, people were finding it impossible to bring dogs and cats into the country at our airports, seaports and border crossings. Later on May 19., the veterinarians and the government settled. The starting base pay for a veterinarian with a four-year degree will be $960 per month. Those with graduate degrees or certifications will have between $250 per month to $1000 per month added to that base pay, and beyond that there are raises based on seniority. The pay scales within and between the two affected ministries have varied and over the course of the coming year they will be equalized. There is also a commitment to parity between public and private sector veterinarians starting in 2018, but at first glance that would appear to be difficult to calculate and enforce.